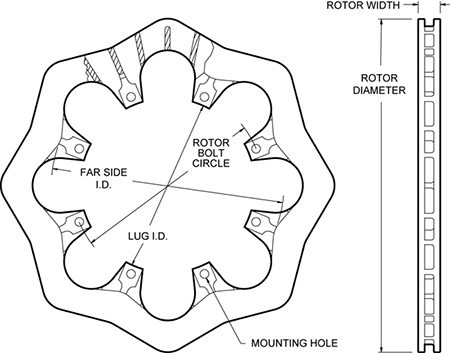 • Scalloped Rotors are unsafe for street use. • Can result in failure if misused. 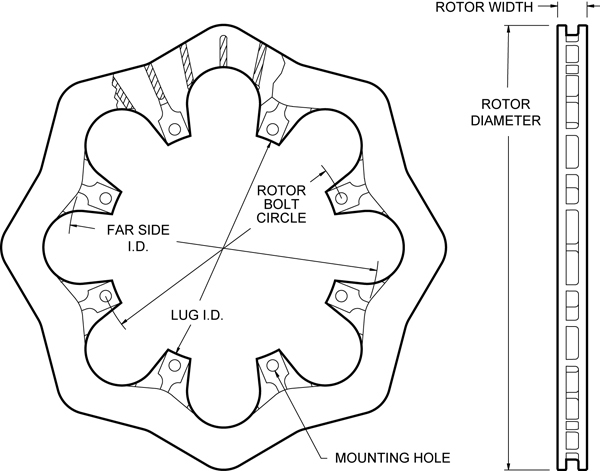 ULS-32 Series Scalloped Rotors feature a fully machined scallop configuration that provides the highest degree of weight reduction on a vented straight vane iron rotor. Scallop machining will remove as much as three pounds, or nearly 33% of the rotor mass. 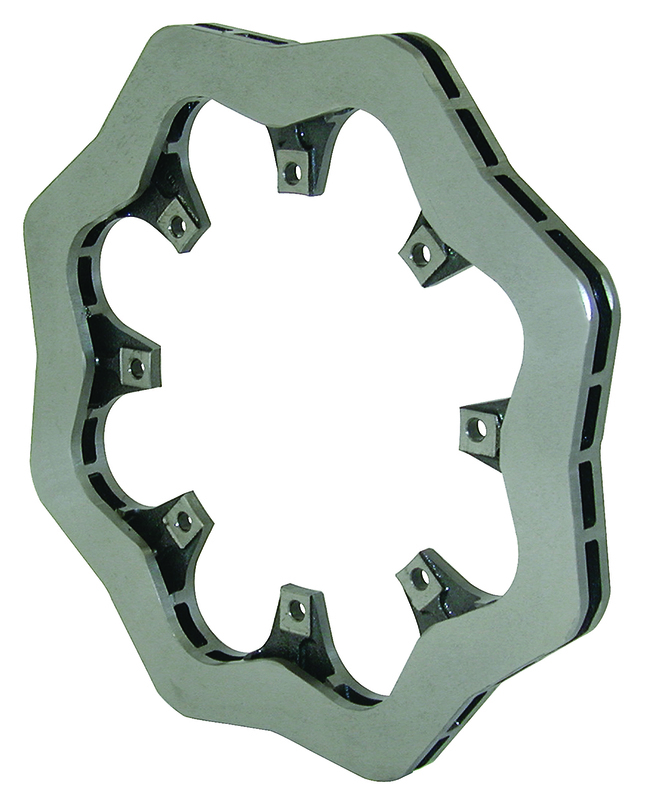 The vented castings provide increased cooling capacity over machined steel plate rotors, with improved structural durability over drilled rotor designs.